Students listen i circle the right verb that goes with each vehicle. 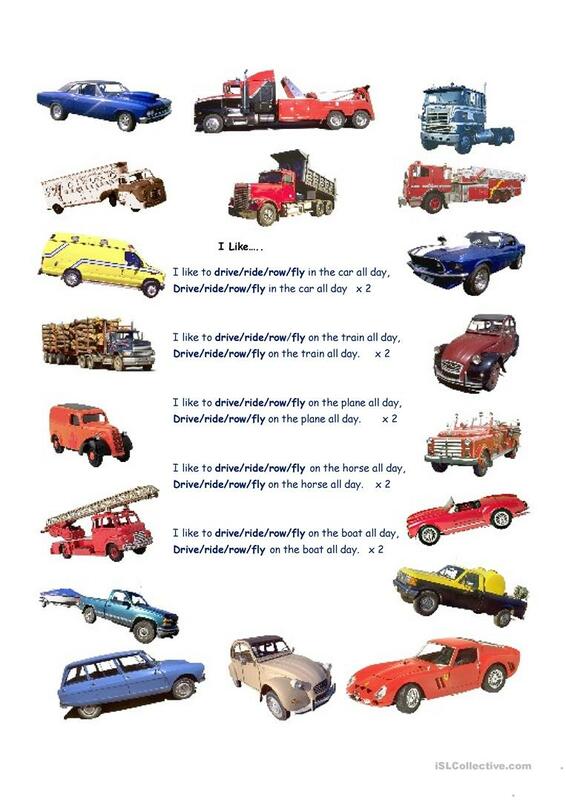 It's a fun way for students to learn/revise the verbs and means of transport. The video is also very amusing. After the students do the listening and learn the song they can also act it and sing along. The present downloadable teaching material is recommended for elementary school students at Elementary (A1) level. It is useful for enhancing your pupils' Listening skills. It centers around the vocabulary topic of Means of transport.